Gina Clayton-Tarvin started her teaching career in the ABC Unified School District while attending graduate school at California State University, Long Beach. While taking night classes, Clayton-Tarvin worked days in the ABCUSD at elementary, middle, and high schools. She began to teach full time at Fedde Junior High School in Hawaiian Gardens in 1996 in both the math and science departments working with 7th and 8th grade students. While at Fedde she was instrumental in creating, procuring, and implementing the Magnet School Assistance Program grant. She was the chief writer of the science portion of the $3.4M federal Department of Education grant. She served as the magnet school's science coordinator and later as its lead magnet school coordinator. While serving Fedde students, she also worked as adjunct staff for CSULB's MESA Engineering Program (MEP). 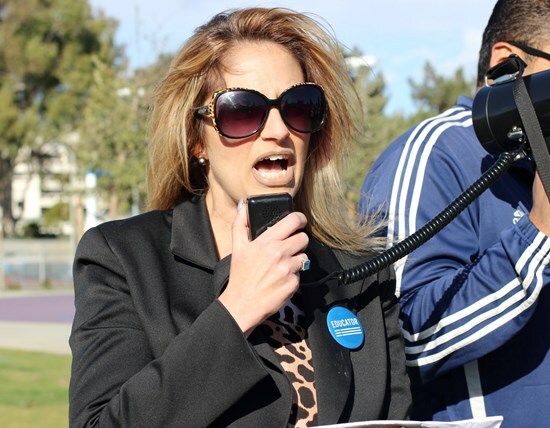 In 1997 she began working for the ABC Federation of Teachers, AFT Local 2317, AFL-CIO as a Site Representative at Fedde Middle School and continued on in this position for eight years, as well being elected to the ABCFT Executive Board as Recording Secretary for four years, then as Middle School Vice-President for four years as well as serving four years as Vice-President-at-Large. After ten years at Fedde Junior High, in 2006, she then moved to Cerritos Elementary school where she has been teaching the 6th grade GATE program for the last thirteen years. She has been certified as a specialized GATE teacher by the Orange County Department of Education. She is also serving as the Cerritos Elementary School ABCFT Site Representative and has done so for the past twelve years. While at Cerritos Elementary School, she co-authored the California Distinguished Schools Recognition Program application in two separate cycles. The first award was granted in 2008 and the second in 2014. Gina Clayton-Tarvin holds a Bachelor of Arts degree in Anthropology. Her graduate studies included Applied Anthropology and Education. She holds a California Multiple Subjects Teaching Credential as well as a California Secondary Single Subject Credential in Biology with an English Learner Authorization and Crosscultural, Language, and Academic Development (CLAD) Certificate and is authorized to provide instruction to English learners.The graduate course work for her credentials was completed at CSULB and UCLA. She is credentialed to teach K-12 and Adult School. She has worked for Special Education as a home school teacher as well. She successfully completed the California School Board Association Masters of Governance program and received her certification in 2014. She has taught at both the elementary and secondary levels, and she understands the diverse needs of students, parents, teachers, taxpayers, and the Ocean View School District. She was elected for her first term to the Ocean View School District Governing Board of Education on November 6, 2012 and began this a four year term as a Trustee. Gina Clayton-Tarvin resides in Huntington Beach with her family. She is an active member of parent teacher organizations in both OVSD and ABCUSD. She is a volunteer for AYSO Region 55, Friday Night Lights, and the Ocean View Little League. She is an active member of the Surf City Optimist Club serving children in need, as well as a member of American Legion Auxilary, Unit 133. She speaks Italian, Serbo-Croatian, and Spanish languages and has resided abroad to study and research. Clayton-Tarvin was re-elected to the Board of Trustees on November 8, 2016 to serve for a second term ending in 2020. *This is the official campaign page of Gina Clayton-Tarvin, elected official. 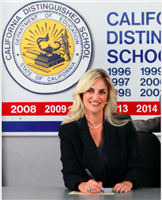 All opinions here are her own, and not those of the OVSD Board of Trustees. No taxpayer dollars were used in the creation of this website. This website is not operated, monitored, overseen by the Ocean View School District.